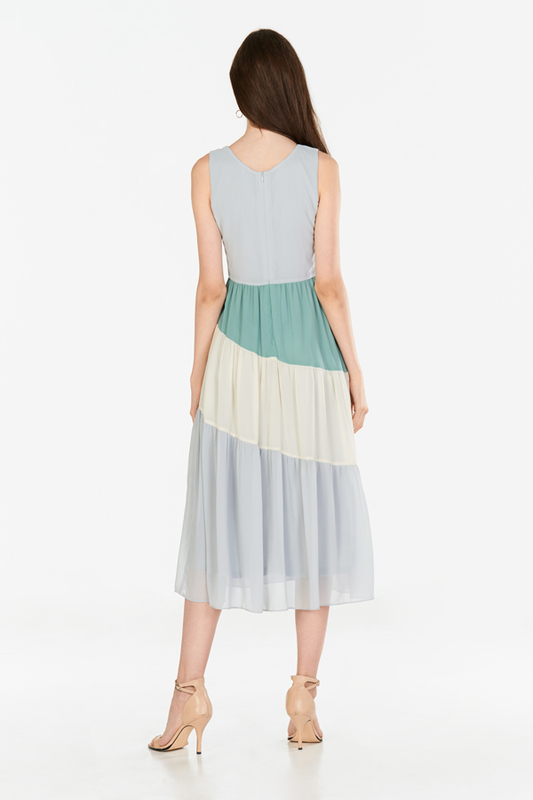 Made of chiffon, fully lined. 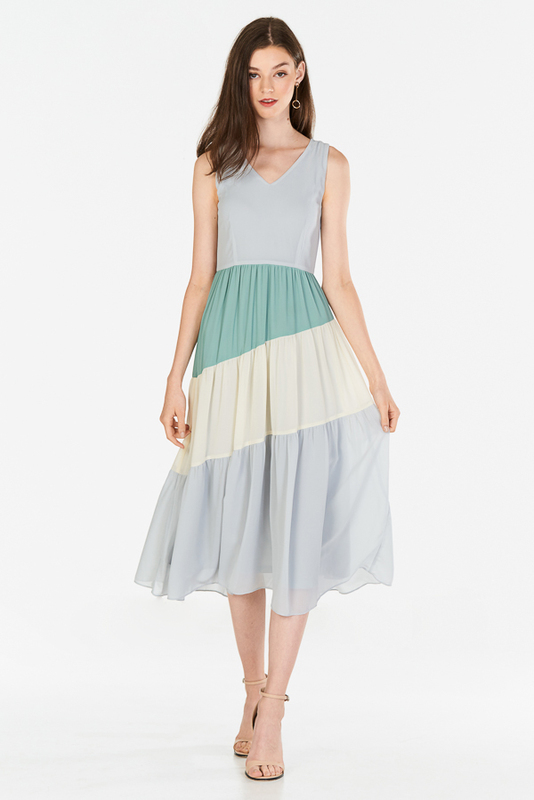 Features a tri-colour hem design in complementing soft dusk cool tones, comes with a v-neckline. Complete with a concealed back zip closure. 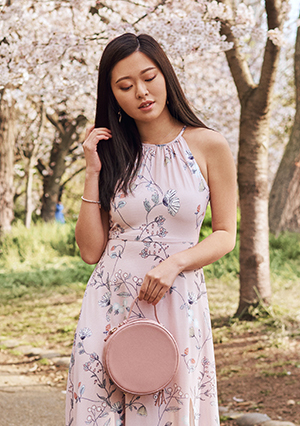 Worn in a flattering midi fit. Non sheer.